What’s with all the Tea? You are here: Home / 2017 / What’s with all the Tea? Everywhere you go in India, you are offered tea. The offer of chai is everywhere from on the train before you travel back to Chennai to a lonely street on the Andaman Islands before you go to a national park. The constant offer of chai makes you wonder after a while, why is it absolutely everywhere? How did such a simple drink of just leaves and hot water make it so big that the people of India can’t seem to get enough (or offer it enough)? Well, I traced the history of tea in India to see if I could figure out the source of such an obsession with a beverage. I found that tea’s popularity came about because of a mix of its history in India, the easy customization and social aspect of the drink and the role Britain played in its mass production within India. Tea has existed in India since at least 750 BC and in the 16th century, a Dutch man named Jan Huyghen van Linschoten noted, while travelling through India, a traditional vegetable dish containing tea leaves, garlic, and oil as well as a drink made out of boiled tea leaves. The term “chai” itself has been used for many years in India but the contents of the beverage have changed since ancient times. Originally, the contents of chai would differ with the seasons and ingredients, though it was generally meant as a medicinal beverage. Chai has a couple of origin stories, one says that a Buddhist travelling monk created the drink, another says that a great Indian king of the past made chai to keep himself and his court awake during long meetings. But the origin of the drink using tea leaves was most likely created by and passed down through a tribe called the Singpho tribe. 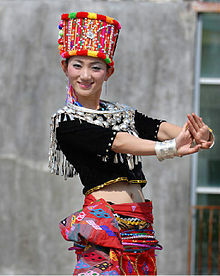 The Singpho tribe lives in the Assam region of India and has had a connection with the tea plant ever since the 12th century. In fact, it was one of the tribe’s chieftains, Bisa Gam, who introduced the drink to Robert Bruce and his brother Charles, the men credited with finding tea in India for the British. Charles was an employee of the British East India Company and therefore had a vested interest in cultivating tea in India. The Singpho tribe might have been the cause for the method with which we grow tea today. 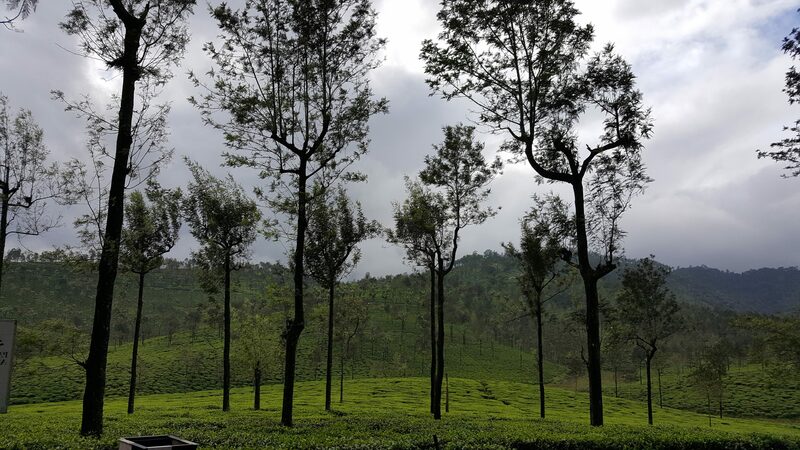 During our discussion about tea plantations with Dr. Albert Relton, we learned that people cut off the tops of the tea plant before it grows to its full 10-foot height in order to ease the collection and management of the plantation. Newer leaves are better for tea production and you can force this new growth by repeatedly trimming the tops of the plant, a discovery that can be attributed to the Singpho tribe. 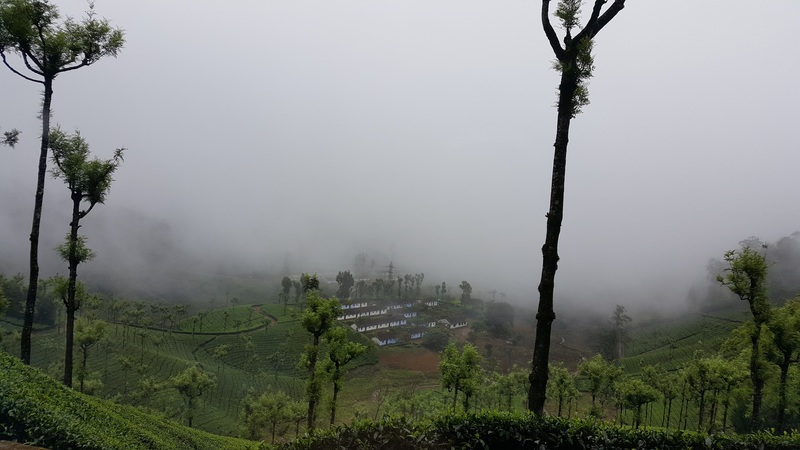 The story goes that the Bruce brothers had taken some of the tea plants and began to cultivate the crop themselves in order to try and recreate the tea they were given by Bisa Gam. Due to this cultivation without any sort of payment to the Bisa Gam, the Singpho under Bisa Gam’s rule cut down the trees that the brothers were cultivating. However, this forced the plant to regrow at a shortened height with new green leaves, leaves they soon found out made a much tastier cup of tea. Thus, the current system of tea tree growth uses this exact method of growth and cutting of the tree. This method of cultivation of the tea plant leads us to the next reason why tea is so well liked in the India of today, that is, British influence and mass production. Britain’s first encounter with tea was with Chinese tea, a drink they grew to adore. The high price they had to pay to get the tea, however, was much less alluring to the British. British taste for tea, developed through their previous contact with the Chinese, helped the industry to flourish in India and, with the help of labor from the native Indians, they were able to increase production of tea to fit their needs. The availability of tea to the masses due to surplus production through the crush, tear, curl (CTC) method of tea processing led to the increased consumption and adaptation of the drink into local taste and customs. British imperialism is also most likely the reason for the quick and vast spread of tea to the Indian masses. Akin to a big brother, Britain seemed cooler and more knowledgeable than India in certain aspects so, like any younger sibling who wants to be just as cool as their older brother, India copied what it saw and one of the many things it saw was tea drinking and tea cultivation. This might seem over simplified at first and definitely it is in some ways, but India as a conquered nation, like many other conquered nations, was seduced by the knowledge, technology, and bravado that comes with a conquering nation from abroad. The mannerisms and habits of the British colonizers are associated with wealth and power and are therefore alluring to the native Indians. British inclinations towards tea were widely apparent, as they came to find and or cultivate tea on Indian soil. Once natives made the connection between the British and wealth and knowledge, aspirations to such a life as the one that the British led became the higher standard, the place you should aspire to. Simply, if you also did as the British did, you might get somewhere “better” than you were before. So everything from small habits like drinking tea to larger nation building and sustaining habits like continued use and running of tea plantations were adopted for better or worse by pre-British Indian culture. This has led to the current legacy of tea plantations that have cleared acres of land and introduced foreign plants like the silver oak. The environmental impacts of which have to be dealt with by the current generations of Indians. Gaur (also called an Indian Bison) in the tea. These animals go into tea plantations to eat the grasses that grow in the paths that the tea plantation workers make while they are cutting the crop. This often results in human, animal conflict as the workers must shoo the Gaur away before they can work on the field. Picture taken by Heather Lowe. British influence is not the only reason for tea’s success in India; Indian culture must have also accepted and merged tea drinking culture into its existing culture. Something about the drink itself, on top of the long history it has within parts of the country, then has to be part of the reason as to tea’s ubiquity. The drinks simplicity and the social role it plays then helps continue its presence in Indian culture. The simplicity of the drink, just tea leaves and hot water at its most basic form, lends itself to an array of different cultures that can adapt their tastes and preferences into the simple drink. This adds to the ease with which it will be adapted and consumed by the masses. Instead of having a single product that everyone who drinks it has to enjoy, people of different cultures can tweak the taste to suit themselves and their distinct cultures. This process of integration into Indian subcultures have resulted in several different types of chai, including Irani chai from Hyderabad, Assam chai from the Assam region, and Masala chai from Gujurat and many other derivatives. Such ease of adaptation leads to a smoother societal acceptance of the drink. Tea today also plays an important societal role in that it gives people a reason to sit and chat with their neighbors, friends and family. A time built into the daily life to sit and chat allows people to bond and disseminate information. This role that the drink plays makes it socially acceptable to be sitting around talking and it also makes it a useful adaptation to the Indian culture, as dissemination of information is one of the things that allows humans to adapt easier to a constantly changing living environment. The integration into Indian culture that the combination of adaptability and social influence tea has allows the drink to persist still to this day as now an entrenched social norm. 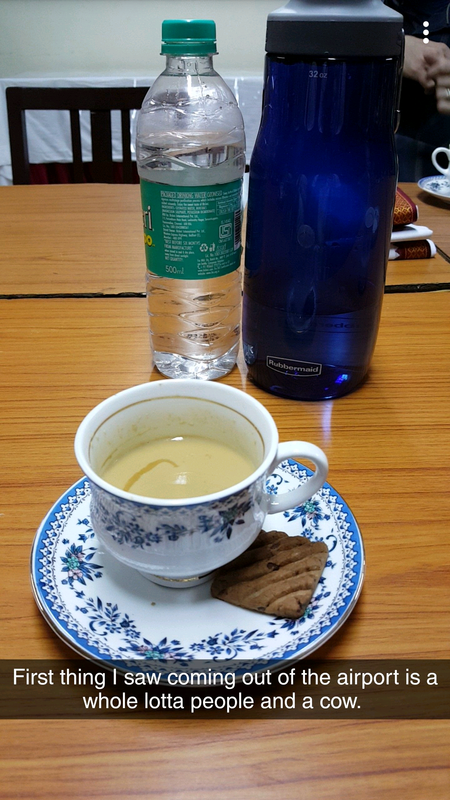 Through my travels all over south India, I have had many a cup of tea but with the knowledge I’ve gained, I can appreciate the power of a simple beverage and reflect on the social and cultural aspects of even the mundane, everyday things in life here and back home. Noooooo! Tea with milk and sugar?! That should not be. What would your Gung Gung say if he were alive, Heather? Anyway, I enjoyed your blog on tea in India. Do they call all their tea Chai? I thought Chai was just one of the flavored teas. 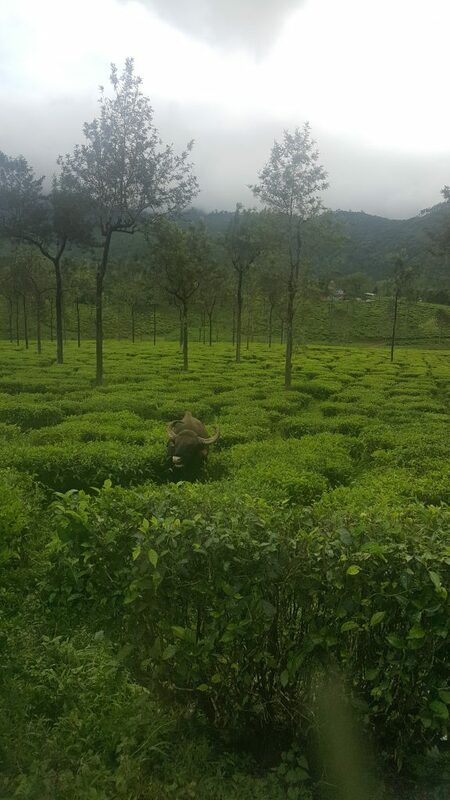 I especially liked the picture of the Guar amongst all the tea plants. Please bring some tea leaves home for me to try. I like my tea with just leaves brewed in hot water…no sugar or milk. LOL.